When Belzoni entered the tomb, he had no idea what he had discovered. His confusion overcame him as a human mummy was nowhere to be found. He did, however, discover a mummified bull – so he decided that the tomb must have been created to honor Apis, a holy bull in Ancient Egypt. It’s important to remember that Belzoni wasn’t a professional Egyptologist – the scientific field called Egyptology wasn’t even created until thirteen years later. 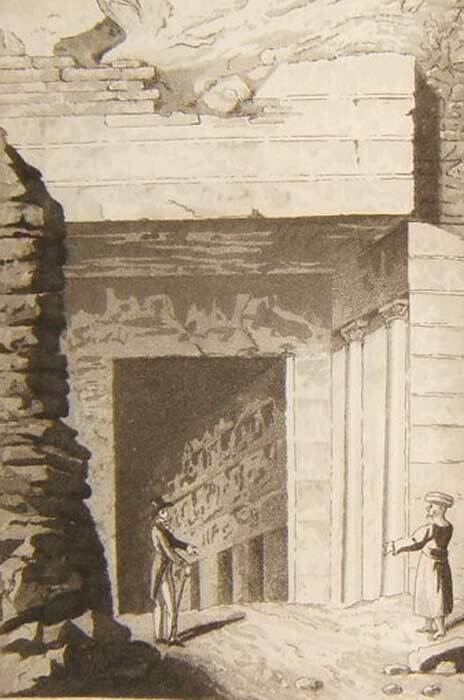 “Entrance to one of the Royal Tombs at Thebes” from a book by Édouard de Montulé (1821). (Public Domain) Egyptology was not created yet and most people had a different perception about how to visit ancient tombs in Egypt and elsewhere. Belzoni didn’t write anything about the tomb being blocked off or any closed doors, so it is impossible to guess what its state of preservation was when he entered it. It is known, however, that the tomb was looted and the mummy only survived thanks to priests who lived during the Third Intermediate Period. 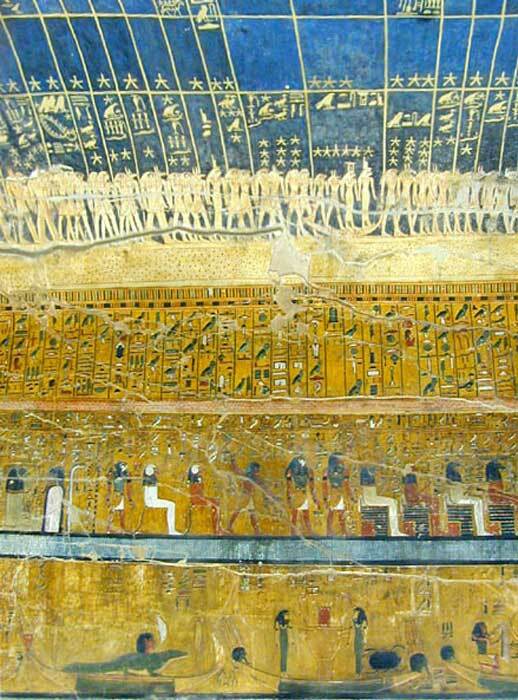 The tomb located in the Valley of the Kings, known as KV17, is the longest tomb in the entire necropolis. It’s about 137 meters (449 ft.) long and is still recognized as an elaborately decorated monument from the times of Sety I and his son, Ramesses II. The opening of the mouth ceremony in the lower passage looks very much like the one depicted in the tomb of Horemheb. Moreover, other parts of the tomb were also decorated with rich and detailed paintings. Sadly, the tomb was heavily damaged by researchers during the 19th century. The pharaoh’s sarcophagus was removed in the 1820s to become part of a museum collection in London. Priceless decorations gracing the walls, ceilings, pillars, etc. were also damaged by Jean-Francois Champollion, who explored the tomb during 1828-1829. He removed a wall panel in one of the tomb’s corridors. Other wall paintings were taken by a German research team in 1845. The beautiful images that were stolen from the tomb’s walls are now parts of elite museum collections in Berlin, Paris, and Florence, amongst other locations. The funerary equipment was still inside the tomb when Belzoni entered it. Of course, the precious metals and stones were soon pocketed, but many other things, like the wooden furniture and other objects which didn’t catch his eye, were left inside the tomb. As the wood was corroded and the other items were unlikely to fetch a good price, Belzoni took little interest in them. 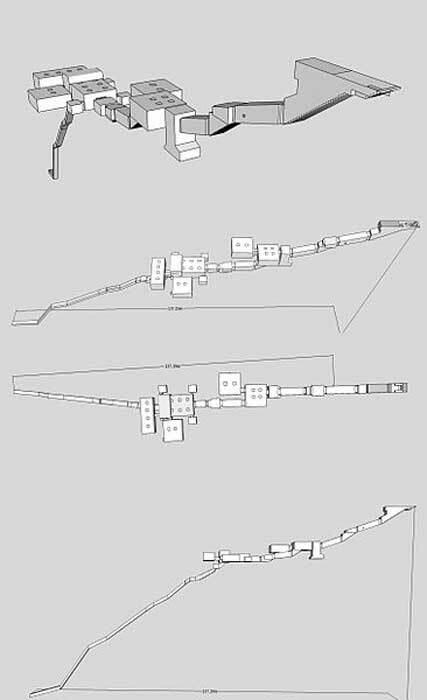 In tomb KV17, researchers found a weird and unexpected tunnel which sinks deep underground beneath the burial chamber. This is one of the major puzzles related to Sety I’s tomb today. Could it lead to another burial chamber? An interesting feature found in the tomb’s decoration are cenotaphs, which can be translated to read “empty tomb.” The writing was likely seen as way to protect the pharaoh’s remains. This was a very important part of ancient Egyptian religion, as the deceased’s body had to be saved, otherwise, the person wouldn’t be able to stay alive in the afterlife. Returning to the tunnel, it was probably meant to reach groundwater – creating a symbolic link between the pharaoh’s burial and the myth of the tomb of Osiris. In royal tombs, the cenotaph was placed on a false sarcophagus on an ”island” surrounded by water. It was associated with the original forces of creation and the myth of Osiris. But for Sety I, his most famous cenotaph is in his temple in Abydos. Sety I’s mummy was eventually discovered in the famous cache DB320. The pharaoh’s body had been taken out of his tomb and located in a hidden place to protect his remains. He was buried once again with several other famous rulers of Kemet (an ancient name of Egypt). His mummified body was neatly prepared and the mummy was covered with a yellow shroud. However, tomb looters had messed with his bandages and smashed his abdomen. Worse still, Sety’s head was separated from the rest of his battered body. Fortunately, his face remained untouched. Now, the remains of Sety I rest among other royal mummies in the Cairo museum. Sety I’s tomb is like a puzzle of ancient Egyptian symbolism. Looted and damaged, it is still one of the most remarkable examples of ancient Egyptian wall painting. Unfortunately, the shoddy work and previous damages made by ”iconic archaeologists” of the 19th century had a lasting impact. Their disregard for preservation led to several of the tomb’s walls collapsing or cracking during archaeological work in 1950s and 1960s.